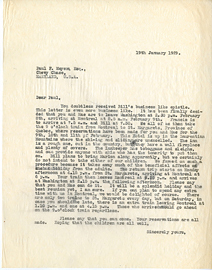 Letter from Wilder Penfield to Paul F. Myers, March 5, 1928. 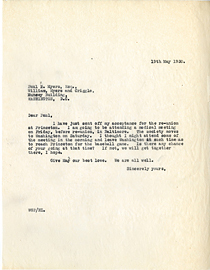 Letter from Wilder Penfield to Paul Mayers, May 19, 1930. 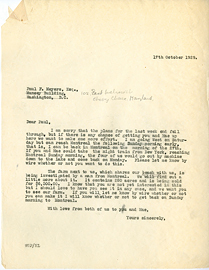 Letter from Wilder Penfield to Paul Mayers, October 11, 1928. 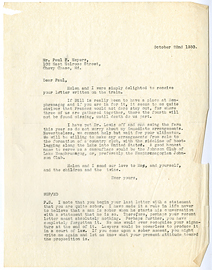 Letter from Wilder Penfield to Paul Mayers, October 17, 1929. 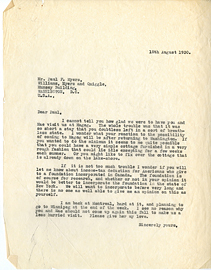 Letter from Wilder Penfield to Paul Myers, August 18, 1930. 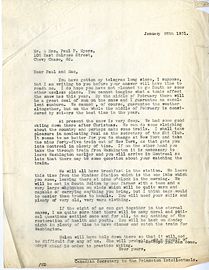 Letter from Wilder Penfield to Paul Myers, January 19, 1929. 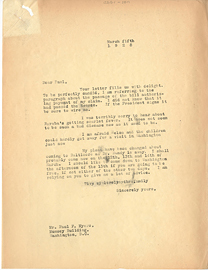 Letter from Wilder Penfield to Paul Myers, January 26, 1931. 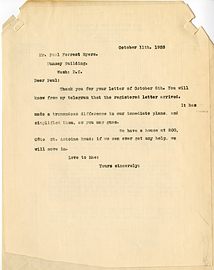 Letter from Wilder Penfield to Paul Myers, October 22, 1930. 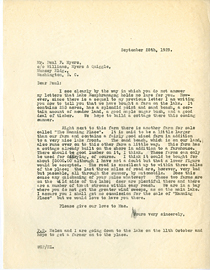 Letter from Wilder Penfield to Paul Myers, September 28, 1929. 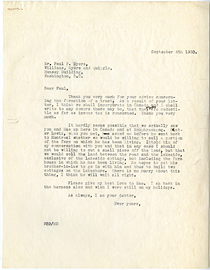 Letter from Wilder Penfield to Paul Myers, September 4, 1930. 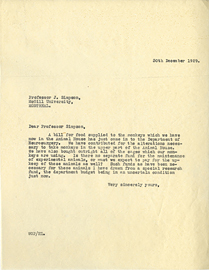 Letter from Wilder Penfield to Professor J.C. Simpson, December 30, 1929. 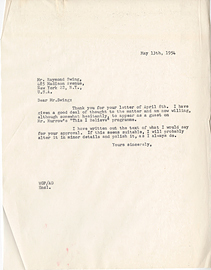 Letter from Wilder Penfield to R.S. 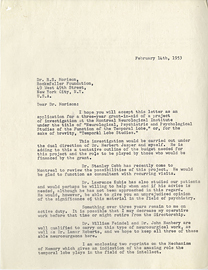 Morison, February 14, 1953. 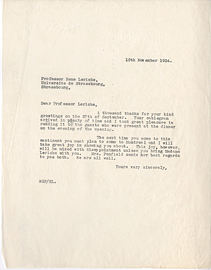 Letter from Wilder Penfield to Rene Leriche, November 10, 1934. 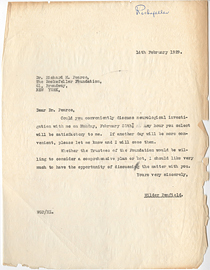 Letter from Wilder Penfield to Richard M. Pearce, February 14, 1929.